Easy Life has been on my radar for some time now, and despite seeing the group’s name mentioned on multiple different occasions, I never really took the opportunity to check out their work in depth. Today, however, I’ve finally taken that chance, as the group is here to unveil their latest project — the 6-track offering, Spaceships Mixtape. Concise in length and relentlessly energetic in sound, this project is an absolutely brilliant introduction to the simplistic yet remarkably well-executed style of the group. Rather than making music that follows trends in pursuit of quick fame, Easy Life seems to be taking the opposite route, opting to thoroughly develop their sound and work within their strengths in order to achieve success in the most authentic way possible. The result is one of the most refreshing projects I’ve heard all year so far, with cuts like “Sunday” acting as easy standouts that I’ll be keeping on repeat all throughout the arrival of the warm weather. Needless to say, if you’re looking for a soulful new offering to brighten your mood heading into the spring, look no further than Spaceships Mixtape. 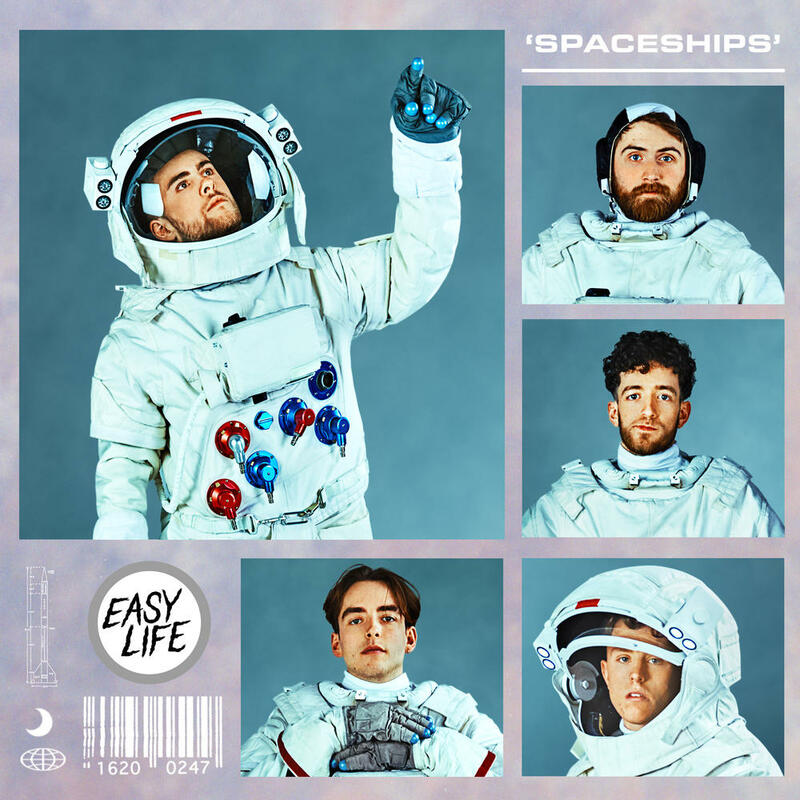 Between a galvanizing, sun-soaked sound and 6 songs straight of pure storytelling and inspiring artistry, devoid of any wasted space, the latest from Easy Life is a fantastic listen, whether you’re an older fan or a new one such as myself. Be sure to stream this one below and let us know what you think in the comments!